Dandruff is a common scalp condition marked by white flakes on the scalp and itching. A possible cause is a yeast-like fungus called malassezia, also known as pityrosporum. Malassezia is normally found on the scalp without causing problems, however, if it grows unchecked (possibly due to hormone imbalances, stress, immune suppression, infrequent shampooing, illness, or increased oil production), there is mild inflammation that produces dead skin cells. The dead cells mix with oil and clump together, making them appear white and flaky. Tea tree oil is an essential oil that comes from the leaves of Melaleuca alternifolia, a plant native to Australia. It has been used for centuries as an antiseptic and anti-fungal agent. There are many tea tree oil shampoos available in health food stores and some drug stores, and many people report these products help with dandruff. There has been little research on the use of tea tree oil for dandruff. 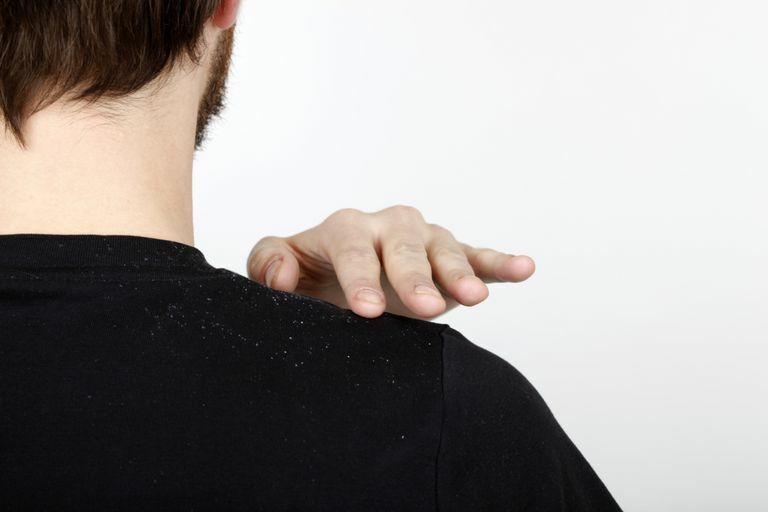 One study involved 126 people with mild to moderate dandruff. They used either a five percent tea tree oil shampoo or a placebo daily for four weeks. At the end of the study, the tea tree oil shampoo significantly reduced dandruff. No adverse effects were reported. Although promising, this was not a double-blind study (which means that the researchers knew which participants were using tea tree oil and which were using the placebo), so it cannot be considered solid evidence that tea tree oil works. For more information about tea tree oil, read Tea Tree Oil: What You Need to Know. A home remedy for dandruff is to combine a little apple cider vinegar in water. Pour the mixture into a spray bottle and spritz it on to your hair and scalp, being careful to avoid the eye and ear area. Wrap your head in a towel. After 15 minutes to an hour, remove the towel and wash your hair. This is generally done once to twice a week. Read Apple Cider Vinegar: What You Need to Know. Biotin is a water-soluble B vitamin that helps to break down fats, carbohydrates, and proteins. It is sold in supplement form and is also found naturally in foods. Food sources of biotin are egg yolk, liver, milk, soy, barley, brewer's yeast, and royal jelly. Biotin is also produced naturally by bacteria in the intestines. Eating raw egg whites and prolonged use of antibiotics are thought to be causes of biotin deficiency. Read Biotin: What You Need to Know and Biotin for Hair. Due to a lack of supporting research, it's too soon to recommend any remedy in the treatment of dandruff. Supplements haven't been tested for safety and due to the fact that dietary supplements are largely unregulated, the content of some products may differ from what is specified on the product label. Also keep in mind that the safety of supplements in pregnant women, nursing mothers, children, and those with medical conditions or who are taking medications has not been established. You can get tips on using supplements here, but if you're considering the use of alternative medicine, talk with your primary care provider first. Self-treating a condition and avoiding or delaying standard care may have serious consequences. Satchell AC, Saurajen A, Bell C, Barnetson RS. Treatment of dandruff with 5% tea tree oil shampoo. J Am Acad Dermatol. 47.6 (2002): 852-855.